This brand that carries our family name is the signature of the Domaines Francis Abecassis. For this one, I asked our Cellar Master to choose the most emblematic eaux-de-vie from our estates. 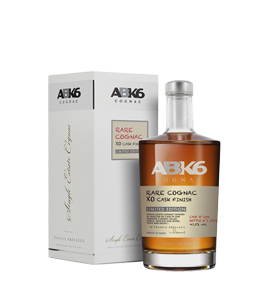 Cognac ABK6 favours the flexibility thanks to the choice of many old eaux-de-vies. 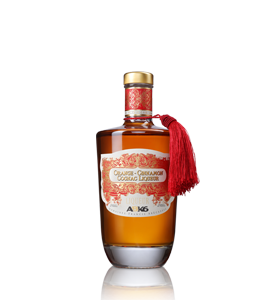 In these aromatic and intense Cognacs one finds the fruit of the vine and the lightness of the perfumes. 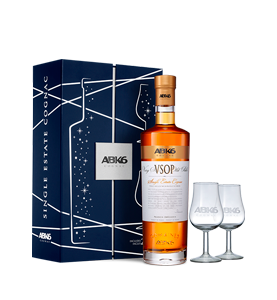 Throughout the whole range, ABK6 is indulgent, with notes of candied fruit, stewed apples and spices. Its originality is strongly evident and this is why ABK6 is presented in an exclusive bottle in order to differentiate the differences with his square shouldered shape that affirms its modernity, all the while respecting the tradition of the product and the uncompromising quality.